This is skipper Tom Brownson and wife Liz Bartell's first Offshore. Tom has raced Bridge to Bridge three times, and last year, he raced on Aja with Rich Elstrom. 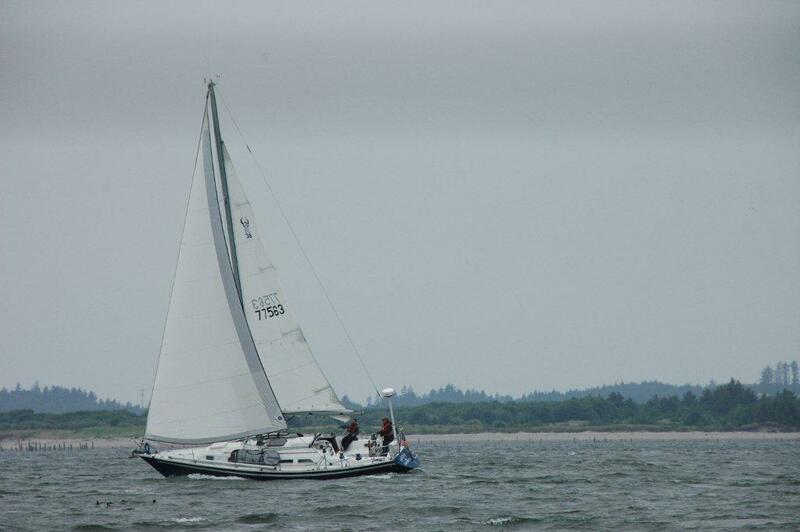 Cantata is an Ericson 38-1 with a PHRF rating of 147, and she hails from Astoria, OR. Awesome Tom and team! May the wind all things bring you in safely!